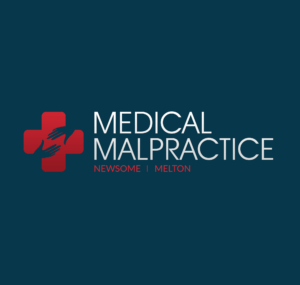 Medical Malpractice Help » Lawyer » Medication Errors Malpractice Lawyer » Can You Sue For Pain Medication Side Effects? The widespread availability of compassionate medical care improves the prospects for patients enduring surgical recovery, injuries or medical emergencies to experience minimal pain. The ready availability of pain medications, however, sometimes results in the heartbreak of addiction to prescription pain medication. Chemical dependency results in physical, mental or emotional deterioration that can last a lifetime. Even patients with no previous addictions are at risk when pain medication is improperly prescribed or administered by a medical professional in an otherwise appropriate medical setting. Liable doctors, hospitals and surgeons have historically been held legally responsible for damages when unnecessary surgery has resulted in addiction to pain medications. It is becoming increasingly recognized, however, that an individual doctor may introduce addiction by prescribing pain medication that potentially leads to addiction, regardless of other, even associated, medical negligence. Holding individual doctors responsible for the patient’s addiction is rare, though successful suits have been filed against marketers and manufacturers of several commonly prescribed pain medications. The more recently introduced legal issues involving individual doctors are highly case-specific. An applicable standard of care is legally expected of all practicing doctors. The standard is recognized by assessing the typical, competent care provided by medical professionals in exactly comparative circumstances. A medical professional may be held responsible for patient addiction if it can be proved that standard care levels were breached in issuing potentially addictive drugs. Under such circumstances, a patient may have a viable case of medical negligence, and the medical provider may be held responsible for damages. The difficulty in proving such cases, however, is compounded by the complications of patient addiction. The drive to satisfy addiction can affect reasonable behavior. The addict typically consults several medical professionals in the pursuit of the addictive substance, making it difficult to ascribe blame to one provider. Fraud, deceit or misleading information or actions on the part of the patient may compromise the case. Every medical professional is legally required to understand the potential for addiction and possible detrimental effects of medications they prescribe, and signs of addiction must be noted by the doctor during the course of the patient’s treatment. A competent, legally compliant medical provider cannot be held responsible for the addict’s illegal or unethical behavior, even when is brought on by the addiction. The patient must consider the possibility of counter-claims of comparative or contributory negligence that result in the patient being found responsible for harm to himself.